I believe there is a plant for everyone. This may be a fairly straightforward statement when applied to people who enjoy plants and who have begun to recognise how beneficial plants can be. These types of people are very likely to have already realised the contribution plants can make to the management of their overall health, well being and happiness, as well as just really enjoying the inherent natural beauty of plants. These people are the converted, and the convinced. 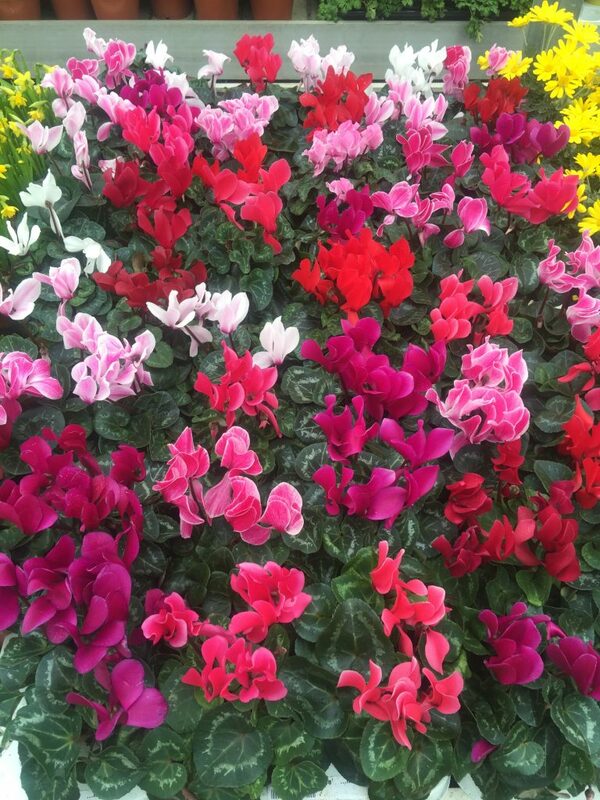 However, when it comes to a complete beginner gardener, or someone who has a history of inadvertently killing their plants (whoops), or someone who has simply given up on plants altogether, then a statement such as ‘there is a plant for everyone’ could be seen as a little ambitious and a little more complicated. These types of people are the unconverted and the unconvinced, and this blog is for them. This blog will try to give you some food for thought about plants, and if successful it may give you a new emotional starting position. We are emotional beings, and I believe when we have an emotional attachment to a plant we are giving it the best chance of being looked at, nurtured, cared for, and of being loved. Just before I go on to look at how to create an emotional attachment to a plant, I’d like to mention a gardening and planting maxim that has helped me. The maxim is: right plant – right place, wrong plant – wrong place. Essentially this maxim is about thinking about where in the garden you want to put your plant, and what you want it to do. I sometimes start with where I want a plant to go, but I am also happy to find an emotional attachment to a plant first, and then make room for it in the right place. For example, if you want a plant for the corner of your garden at your fence, then watch that space and identify when it gets the sun and for how long. It would be no use putting your sun loving free draining plant in the shadiest, coldest and wettest part of the garden (right plant, wrong place). 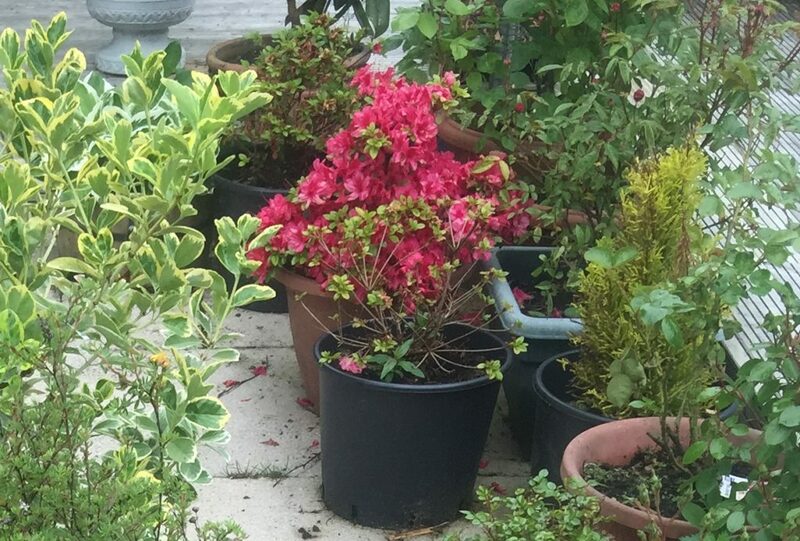 Also, if you want a plant to hide, for example, a gas meter, a cable or a down-pipe, then buying a plant that loses all its leaves in Autumn and doesn’t grow any back until later in the Spring may not be what you want (right space, wrong plant). It doesn’t matter how much you love a plant, if it’s in the wrong place, it’s going to struggle to thrive. Please don’t worry. I’ve never met a gardener yet who hasn’t lost a plant. For me it’s better to have tried and lost than to never have tried at all, but having said that, we can’t expect plants to thrive if we don’t even give them at least a fighting chance. Okay then, choosing the right plant for the right place is the ultimate sweet spot, but how do we create an emotional attachment to a plant? Well my starting position is often thinking of a special someone, a special place or a special point in time, a particular name, or even a favourite colour or a particular colour combination. By way of gaining a few examples, and for inspiration, I looked at a commercial plant catalogue I recently acquired. The catalogue has approximately 70 pages, with 40 plants on each page, together with only 4 photographs on each page. Here is what I found in just 30 minutes of flicking through this fairly small catalogue. 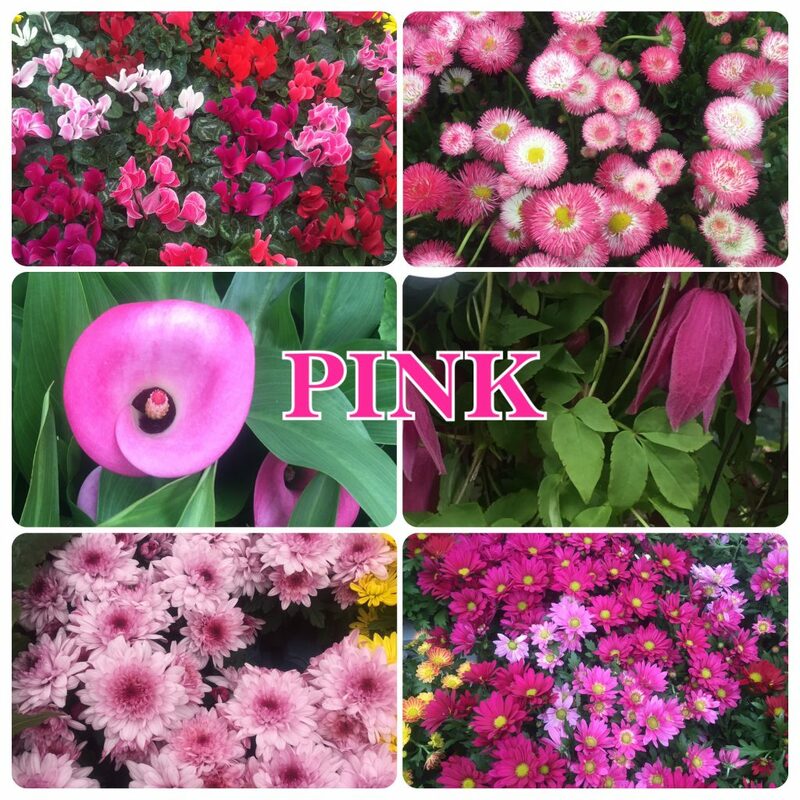 Most of us have a favourite colour, and a favourite colour is a good a place as any to start from when it comes to creating an emotional attachment to a plant. Plants come in every colour and every shade. There is a colour for everyone. It’s even possible to go one better with colour and find a colour or colours that match perhaps your favourite football, rugby, shinty or ice hockey team colours. How about a red, white and blue combination, or green, white and yellow, or red and white, or black and tangerine, or a claret and blue? Perhaps it’s a loved one’s favourite colour, or one associated with a new baby (pink or blue), or a time of year such as Easter yellow, or Christmas red. Colour combinations are limited only by your imagination and your willingness to experiment. As an example of using colour to create an emotional attachment to plants here’s one of my colour stories: I like Hamilton Academical Football Club. 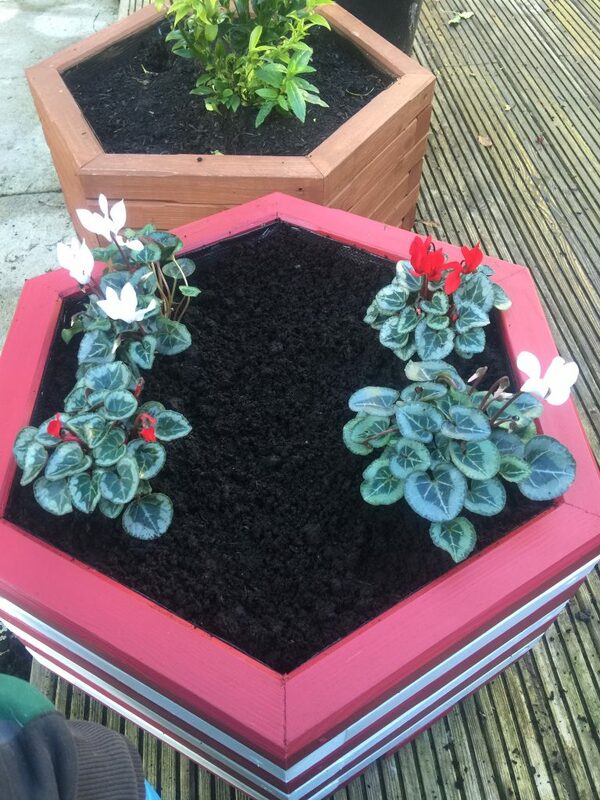 Accies (the nickname for the club) play in red and white football strip colours, so I built a red and white planter and filled it with red and white plants, and donated it to the groundsman at the club. I have a soft spot for all red and white plant colour combinations. I also have a friend who is the groundsman at Greenock Morton Football Club, so light blue and white colour combinations also remind me of the Mighty ‘Ton (the nickname for the club). Plants are often given names of people that have either discovered them, created them, or modified them. Some people have named plants after special people in their lives, or named them after prominent people in the community or from history. Here is a list of names attached to the plants contained in the 70 pages of the commercial plant catalogue I’m looking at. This is just a fraction of names associated with plants. I’ve no doubt you will find many more by carrying out an internet search. As an example of using a name to create an emotional attachment to a plant, here’s one of my plant name stories: Two lovely friends of mine were expecting their first baby. They are two very special people, but by their own admission they weren’t great with plants. I think perhaps their lack of success with plants was less to do with their horticulture skills and instead had more to do with the hard work, pressure, dedication and time involved in building their successful careers. With the birth of their baby, I thought perhaps their focus was about to change. They gave their special baby boy the name, Sebastian. I bought them a special rose called, Sebastian. It is a beautiful light pink rose with soft petals and a sweet scent. Every year the Sebastian rose blooms, and every year Sebastian grows into an amazing boy with special parents with a new found emotional attachment to a plant. 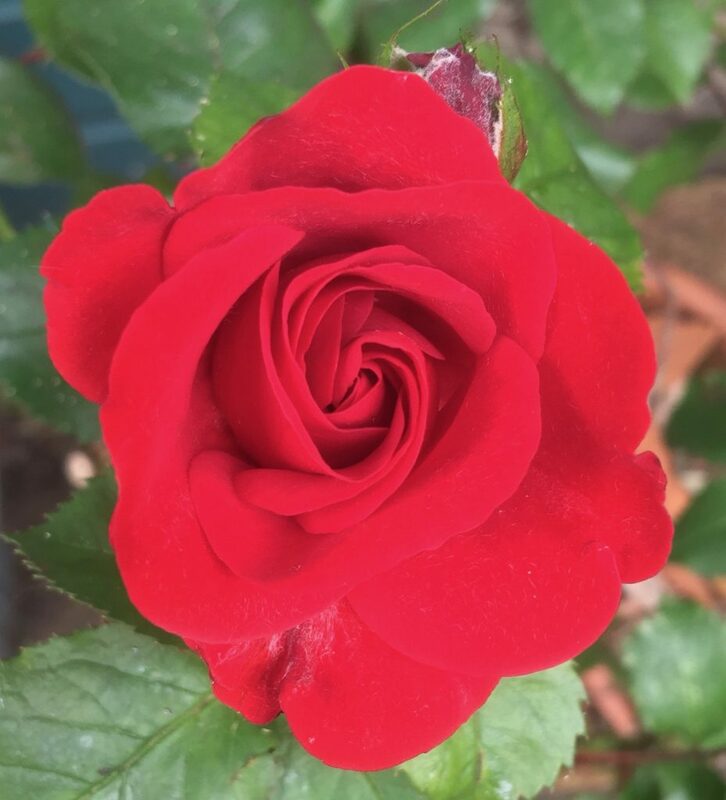 I also have a red Evelyn rose in my garden – Evelyn is the name of my Godmother, and also a purple Michael Paul iris – my name. I have spent time in northern Norway in winter, so names like Arctic, Star, Orion, Aurora or many other night sky plant names bring back memories of skiing on top of a plateau at night in the middle of nowhere and being amazed at the beauty and wonder of the night sky. Perhaps plants with food and drink names are something you’d like to try. There is a rose called, ‘Ginger Nut’. Our dog is called Blade (as in blade of grass) and he has ginger hair. I’m going to buy him a Ginger Nut rose. Plants associated with love are sure to create an emotional attachment, and have the power to remind us of a special someone and/or a special point in time. One year our two children bought my wife two Mother’s Day azaleas. My wife loves them, and every year our two boys see the plant flower and remember how happy their mummy is to have them as her sons. Perhaps you’re more of a fantasy and fairy tale kind of person. Well, there is bound to be a plant for you too. Years ago my wife and I worked in the garden of someone whose husband had passed away. He was a very keen gardener. One particular plant in the garden caught my wife’s eye. She loved it. The customer said it was one of her husband’s favourites. 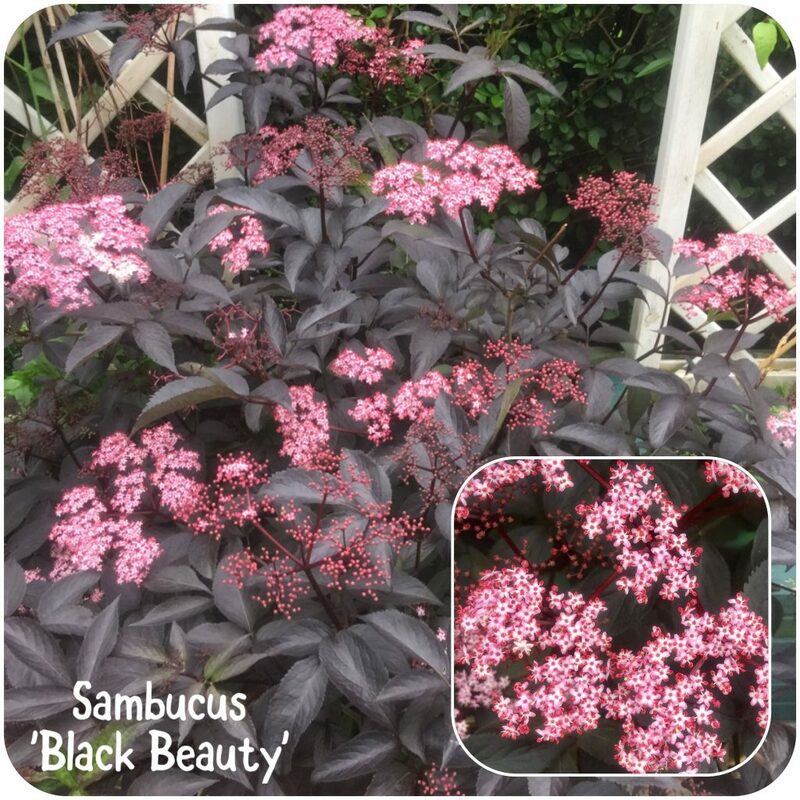 The next time I was at the commercial nursery I bought the same plant for my wife, it’s called ‘Black Beauty’. It sits in a pot in our garden and reminds us both of our time working in the garden of someone who loved plants. 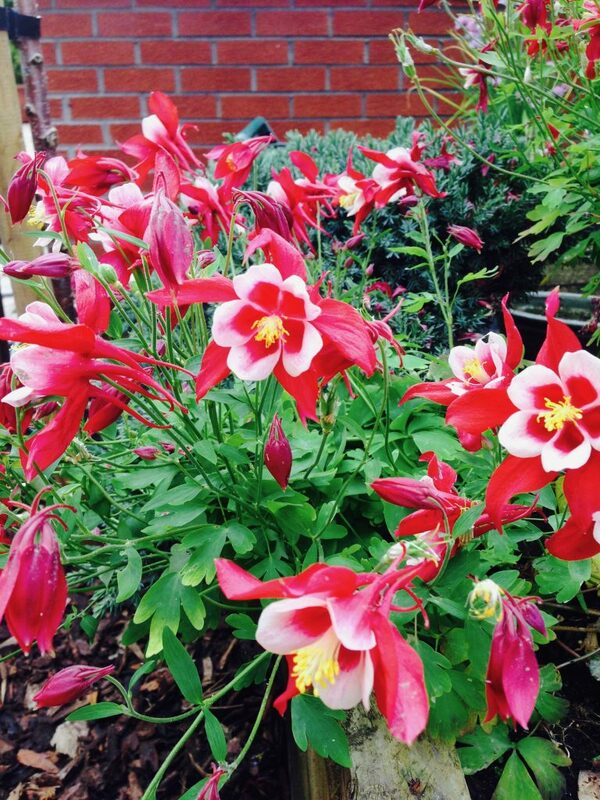 I chose another plant in our garden called Red Hobbit because I was reading The Hobbit to my two children for the first time. Another plant we have was bought because it looked like my wife’s hair (a corkscrew hazel) – it’s similar to Merida’s hair in the Disney film Brave. For others, nothing captures their heart like wildlife. We have a large Red Robin plant at our front door. It does a great job of hiding our gas meter. Sometimes plants are so red and fiery that the person naming the plant can think of no other reference than hell itself. And, for some balance, you’re sure to find a heavenly name too. There is a plant called Lucifer that grows happily in many gardens, but if not careful, that plant can take over, engulf and smother other plants in a garden. Every year I Rejoice when I cut it back. If all else fails, and you can think of nothing else, why not fall back on the weather. I worked in a garden for someone who had the biggest Sundance plant I had ever seen. It was stunning. The customer always had a great big smile on their face – like the laughing baby Sun in the kids television programme Teletubbies. Every time I see a Sundance plant I think happy, smiley thoughts, like a Teletubby. For me, by association, this Sundance plant has the ability to create an emotional response and a connection. There are nearly 400,000 plant species in the world, and even though only about 3,000 of these are here in the UK, there is still plenty of choice. Our first impulse may be to pick up a plant from a garden centre purely because it looks nice. That’s a great start, but be mindful that good looks may not last forever, and may not even last for more than just a few months. You may need to consider other qualities in a plant. 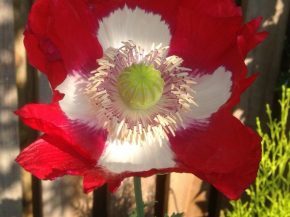 Perhaps pause a little, have a think about its name, the gardening maxim right plant – right place, and ask yourself, is there any emotional attachment to this plant? Does the plant remind you of a special someone, a special place, a special point in time, a special memory? If so, great! You’re well on your way to finding a plant you can get emotionally attached to. As a final note, and some words of comfort – please do not worry if your plant dies despite your best efforts, love and attention. These things happen. Even great and famous gardeners loose plants. Some of my favourite gardeners such as Alan Titchmarsh, Monty Don, Chris Beardshaw, Katie Rushwoth, Rachel de Thame, and Christine Walkden will have lost plants they may have been emotionally attached to – it happens. The weather and nature are not in our control. The great thing about your newly found relationship with plants is it is a relationship that can be never ending. You can start again with the same plant, another plant, or better still surround yourself with happy emotions and memories with even more plants. Best wishes in finding your special plant that creates an emotional attachment with you.